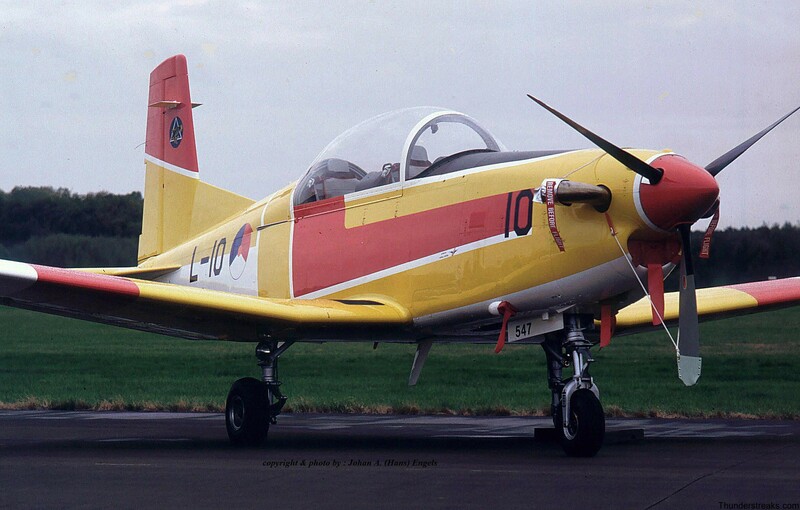 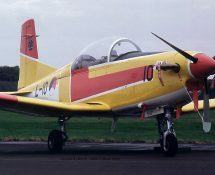 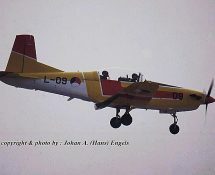 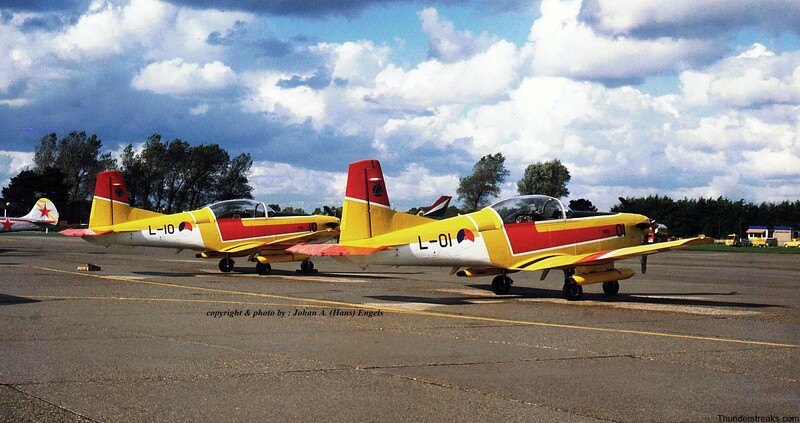 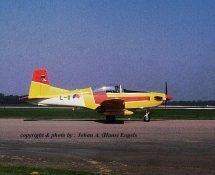 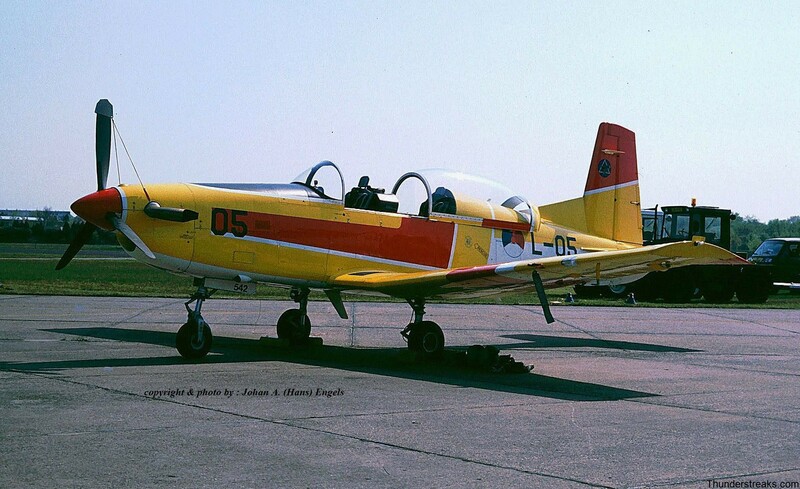 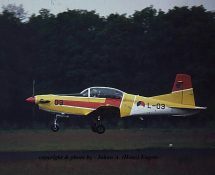 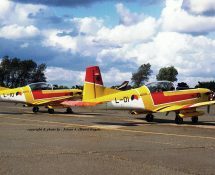 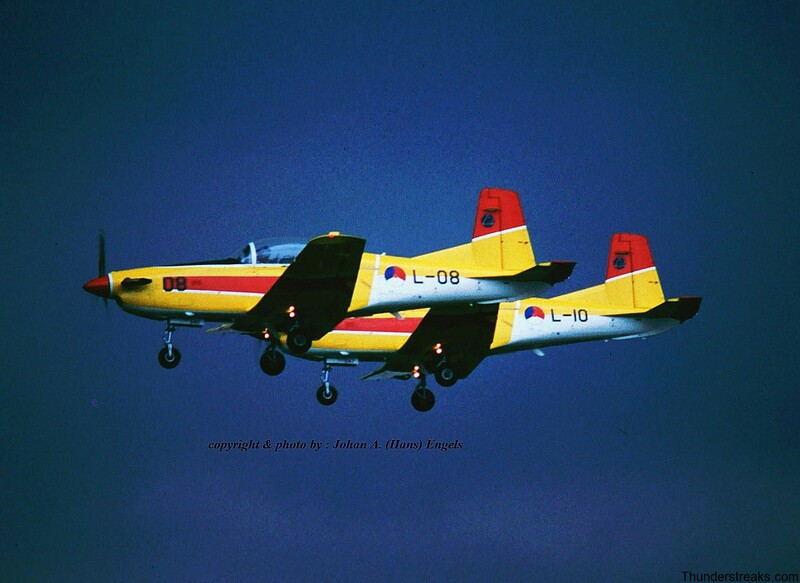 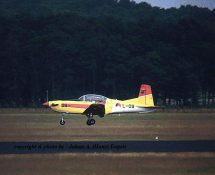 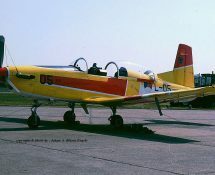 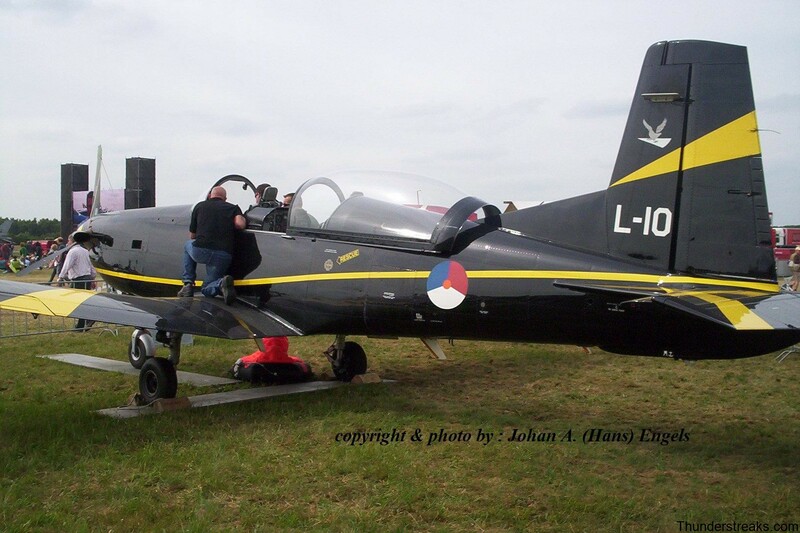 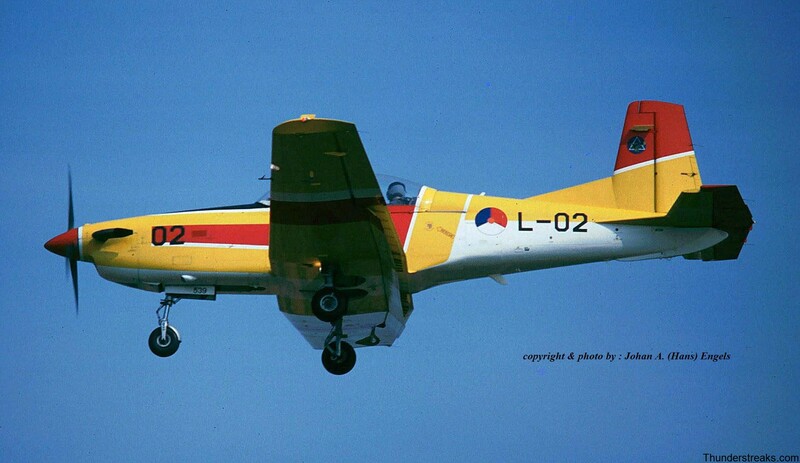 The first 10 aircraft arrived at Woensdrecht Air Base (NL) in 1989 and were assigned to the EMVO (Elementary Flying School) , followed by 3 more in 1997. Registrations are L-01 to L-13. 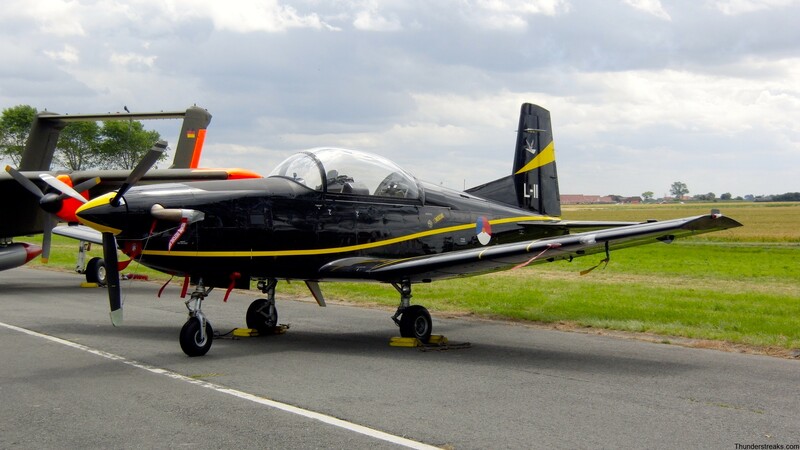 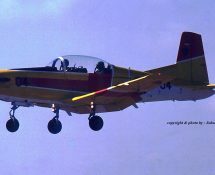 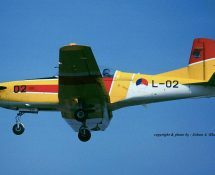 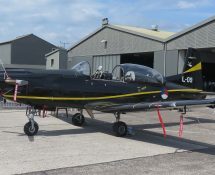 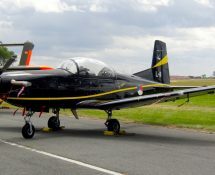 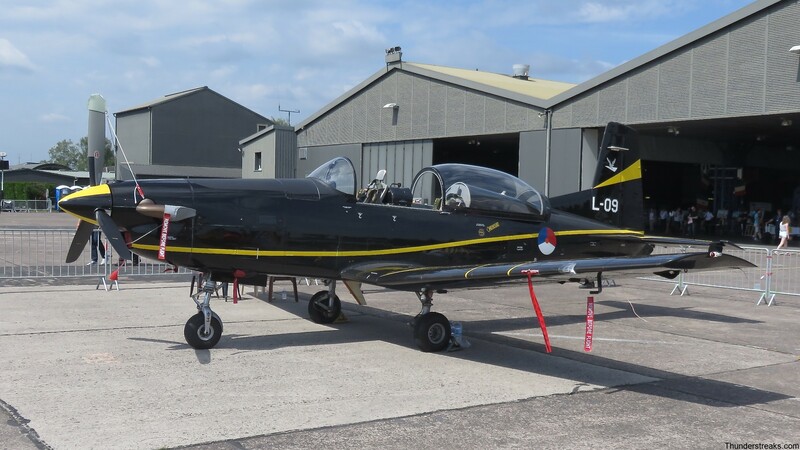 In 2005 it was decided to adopt a new painting for the aircraft , changing the colours from yellow/red/white to black/yellow ; quite a difference ! 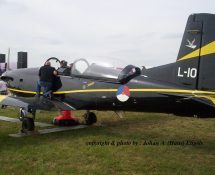 During recent years the PC.7 Solo Display Team was present at many Air Shows and Open Days in the Netherlands and performed some nice aerobatics in the air.